Just a quick blog post I couldn’t resist! 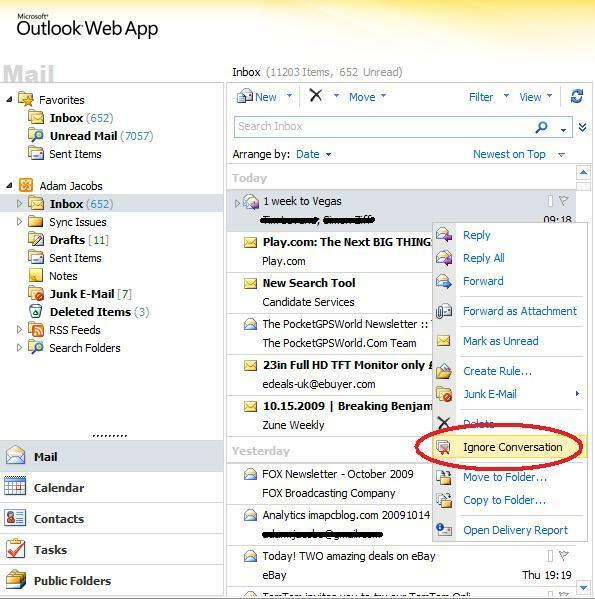 Whilst Exchange 2010 delivers a number of enterprise strength enhancements, you and your users will no doubt love the “Ignore Conversations” option. This is particularly useful when you are included in group e-mails that you could care less about! 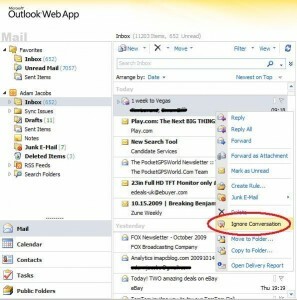 Clients supported include Outlook 2010 and Outlook WebApp (screenshot below).